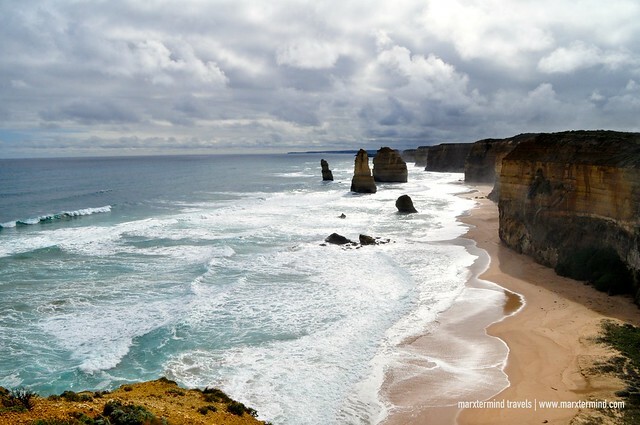 There was nothing more that made me excited when I was in Melbourne than joining a tour to the Great Ocean Road. Spending almost a month in Australia brought me to different exciting places and absolutely the Great Ocean Road is one of those. 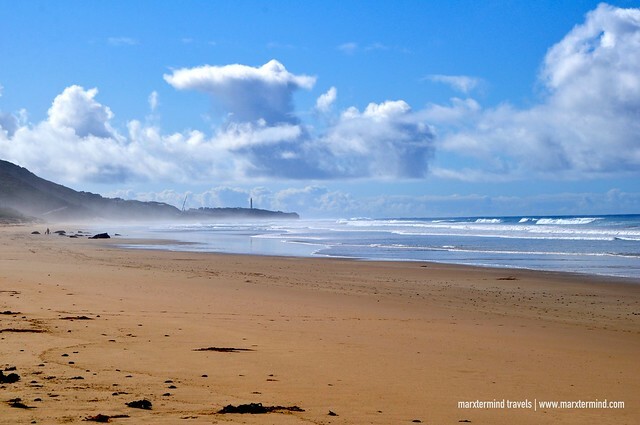 The Great Ocean Road is listed as a National Heritage site. 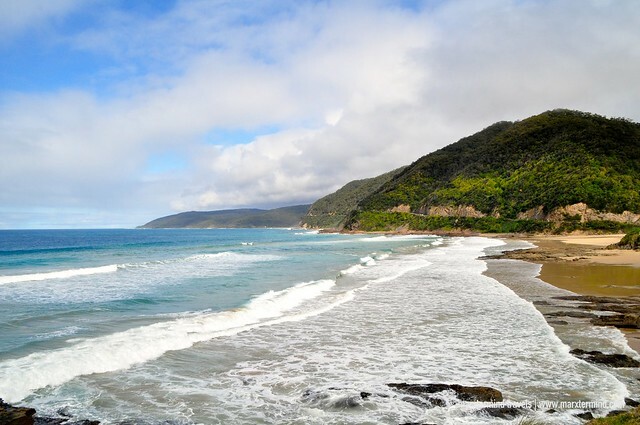 It is 243 kilometers stretch of road situated along the south eastern coast of Australia. It is between the cities of Torquay and Allansford in Victoria. This road is considered as a significant tourist attraction in the country because of its enormous coastline, marvelous cliffs, beautiful beaches and incredible rainforest. 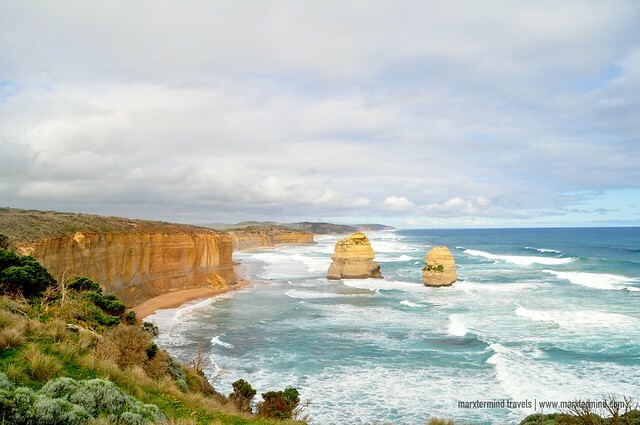 The road is also the gateway to see the most notable rock formations in Australia, which are the Loch Ard Gorge and Twelve Apostles. 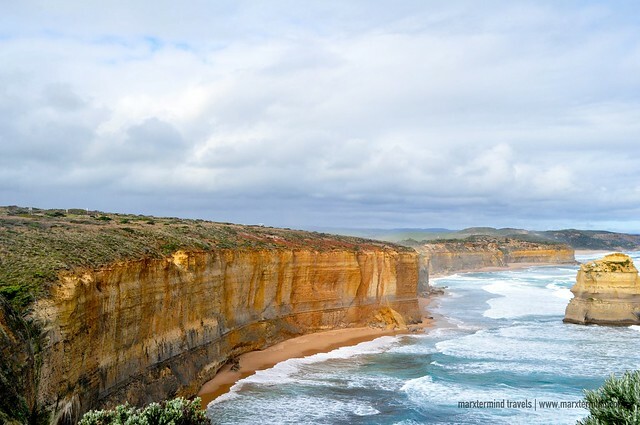 Traveling down the Great Ocean Road and seeing these spectacular natural wonders is a great escape to experience while in Melbourne. It is merely two to three hours away from the city but if you would be touring the stretch of this scenic road, you might need a whole day to spend. 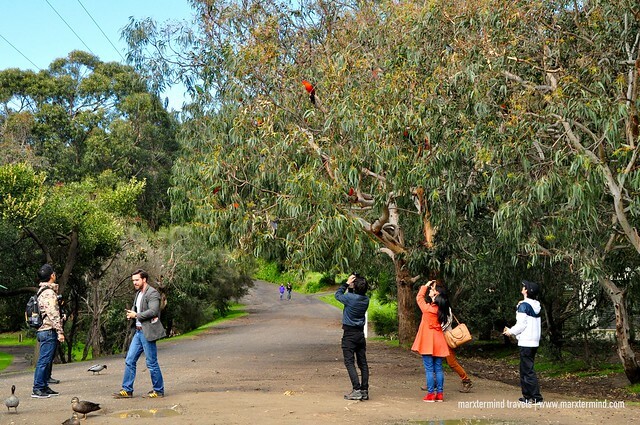 I joined the tour from Bunyip Tours. It is more convenient to get a tour because everything is already in it, such as transportation, lunch, park entrance fees and a driver / tour guide. There was nothing else for me to worry about when I participated at Bunyip Tours because everything was already taken care of. The tour started early morning. We departed from Melbourne at around 7:30 AM. Our driver, who also happened to be our tour guide, was Jeremy. As we drove through the motorway, he introduced himself and discussed to us the different tourist spots that we would be covering for the day. Jeremy was very spirited and friendly. He communicated to us as often as he could – and making sure that we were all okay. I could see that he was well-informed about our tour. He ensured that he relayed the right information to us. 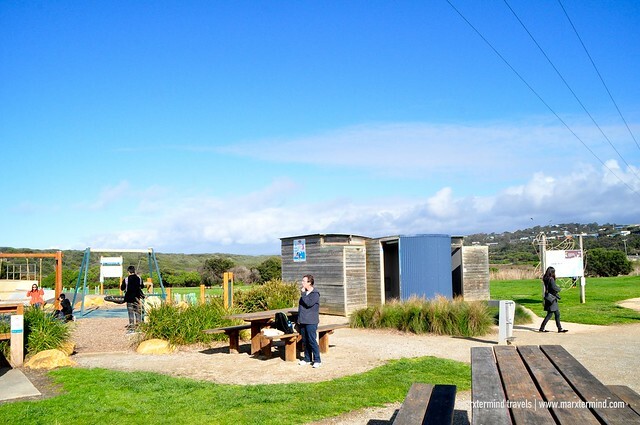 Two hours on the road, we made a stop at Aireys Inlet Skate Park and spent a few minutes to have tea and biscuits. I didn’t able to have a decent breakfast when I left my hostel – and it was nice that the tour had tea, coffee and biscuits for us. And that morning snack relieved me from hunger. The short break also gave us a chance to introduce ourselves to other joiners of the tour. It also gave us time to get around a bit, stretch our legs and have some pictures. There was a lighthouse nearby. It was the Split Point Lighthouse but unfortunately, we weren’t able to get to that area. Just a few minutes’ drive away was our next stop of our tour, the Memorial Archway of Great Ocean Road. 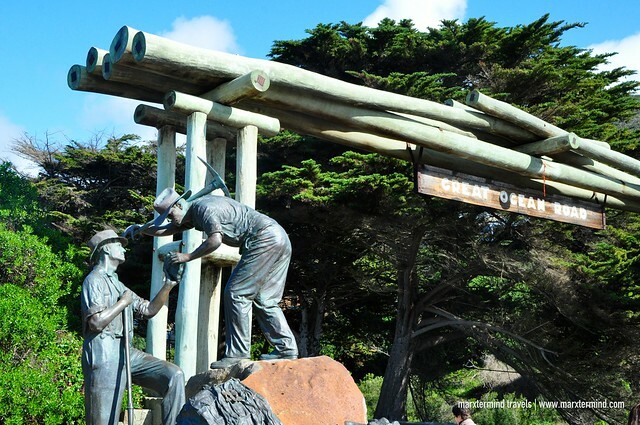 This landmark was built to pay honor to the soldiers who were involved in the construction of the Great Ocean Road. The memorial arch had become a regular stopover before traveling further down the scenic road. 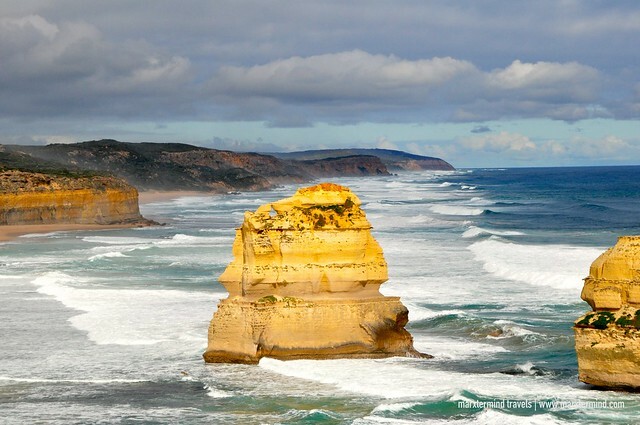 It offers a good photographic opportunity for travelers entering the Great Ocean Road. A nice beach was also accessible from the popular landmark. We left the archway few minutes after and continued with our road trip. It was a pity that I was seated on the right side of the shuttle bus. The great views were on the left side. I was envious that I couldn’t even sneak a photo of the fabulous sights. But it was nice that our shuttle bus stopped by in one of the lookouts located along the road. It gave us an opportunity to see and capture the wonderful settings of the ocean and the steep side of the cliffs. 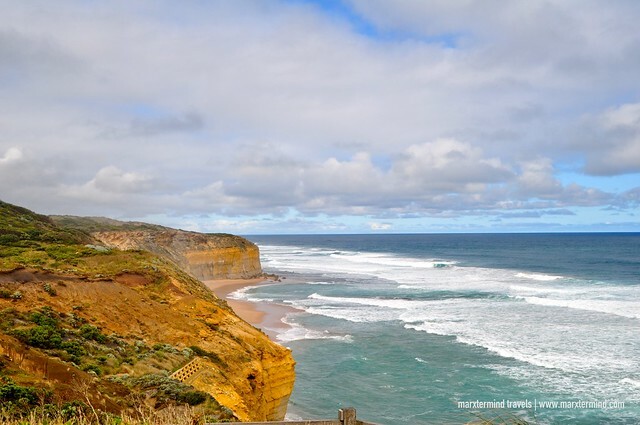 Seeing the amazing view of the rugged cliff side just made me more thrilled to continue our getaway and explore more magnificent sights down the Great Ocean Road. Our next stop was the Kennet River. 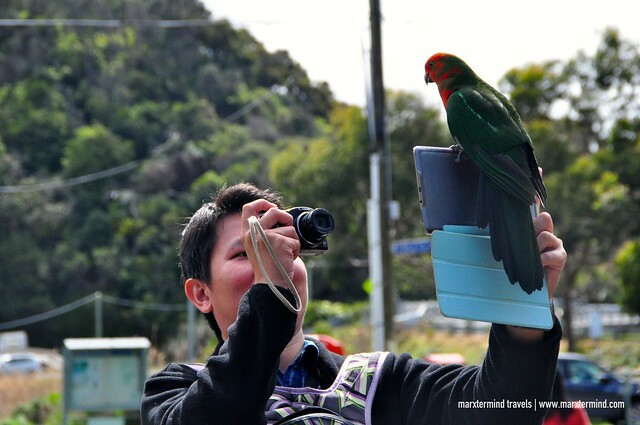 This tourist spot is a popular place for many Australian native animals. 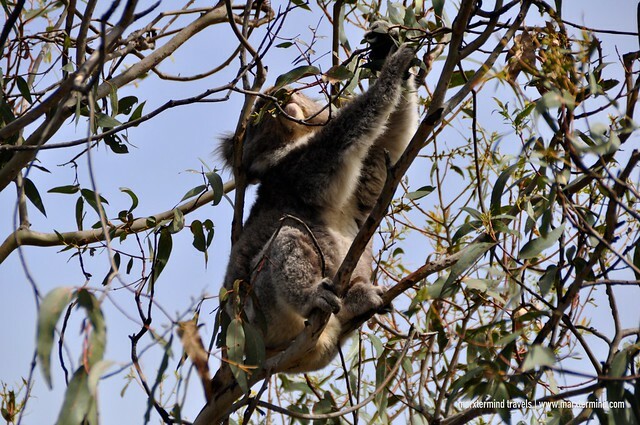 We were told that there is a major population of Koalas in the area. So when you visit this place, it is impossible not to see one. Birds are also abundant on this part. Some tourists bought some seeds to feed the birds. These birds were relatively tamed so there was nothing much to be worried about. It felt like they were already comfortable with people around. They even stood to people’s head – and even into cameras and tablets. We were also able to sight some Koalas around. But it was at the rainforest that we passed by when we continued our road trip that we saw several of these animals. 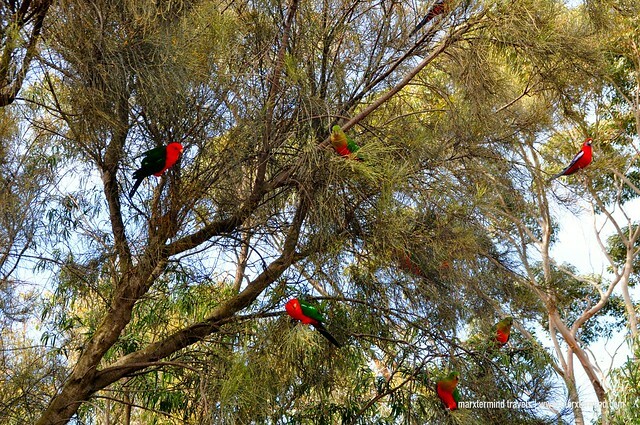 They were in every tree – probably resting. Koalas spent most of their day sleeping. 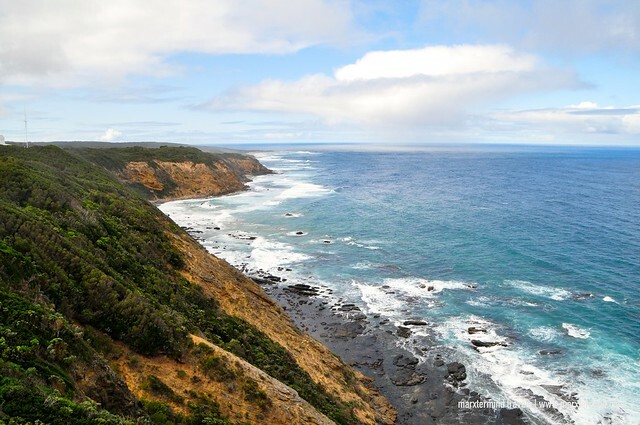 Traveling down the road for the next hour, we now reached Cape Otway. It was already midday when we arrived on this location. But it was actually timely because here is where we will be having our lunch. Our lunch was served to our group right away. It was consist of pasta, barbecue and salad. I’ve had my lunch al fresco, despite of me already feeling cold because of the breezy temperature. Who wouldn’t want to dine in outside when a romantic view of the lighthouse was in front of you? I was trying to finish my meal quickly so I could get to the lighthouse ahead of the others. Well, I was just being competitive that time so I could take photos without so much other tourists in the background, eh! 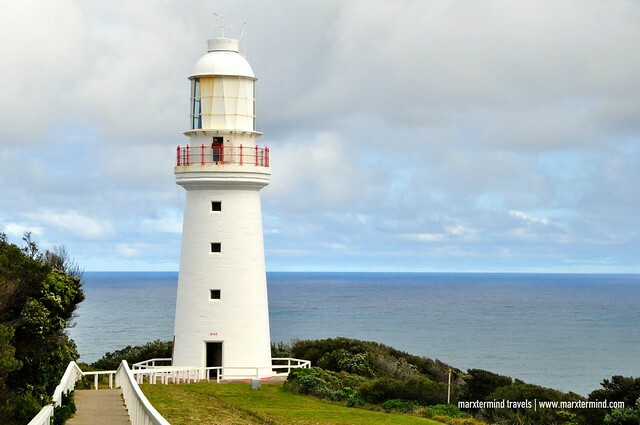 The Cape Otway Lighthouse is Australia’s oldest working lighthouse. It is open for admission and can be visited from 9:00 AM to 5:00 PM. Rising 20 meters, the tower can also be climbed. From the top, you’ll have a superb view of the coast. You’ll also have a bird’s eye view of the gorgeous landscape. 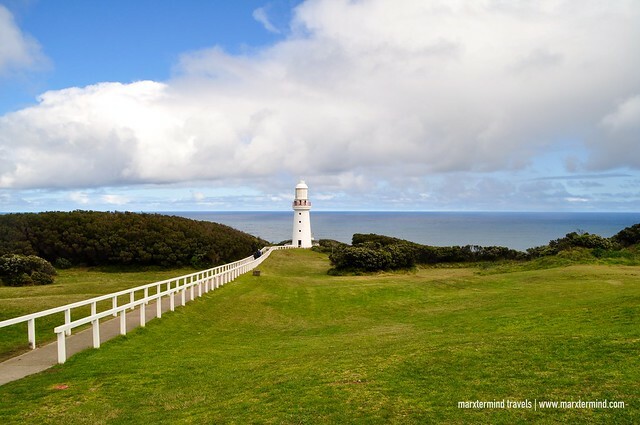 Our time was too short to fully experience Cape Otway. It felt like there was still more things to see. Nevertheless, I was still grateful that I was able to have the chance to get here. It was serene seeing the amazing scenery. After a long drive from Cape Otway, we finally arrived at Port Campbell National Park’s first sightseeing stop-off – the Gibson Steps. The Gibson Steps are a series of stairways leading down the coast. It was unfortunate that the access to these steps was closed during the time of our visit; hence, we only stayed at the lookout. It was at the Gibson Steps when we had our first glimpse of those gigantic rock formations and high vertical cliff lines. 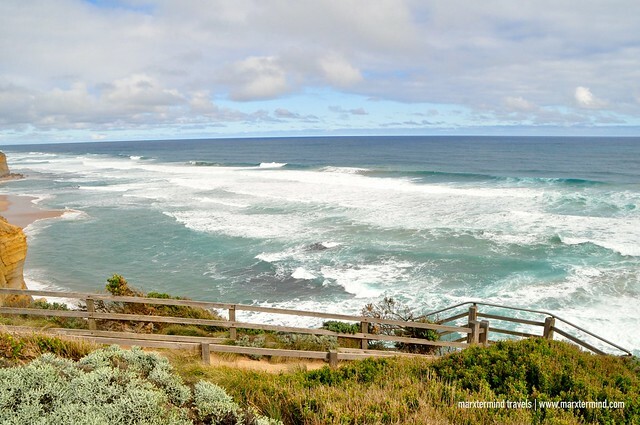 From the Gibson Steps lookout, one can also follow the Great Ocean Walk for about 2 kilometers to get to the Twelve Apostles lookout point. The moment that I had been waiting for finally came. 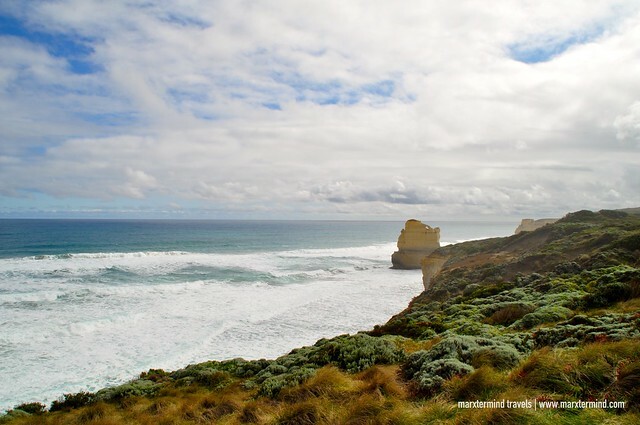 We had finally arrived at the wild heart of our road trip, our visit to Twelve Apostles. Being on this magnificent place was the highlight of our tour. As soon as we parked our shuttle bus at the visitor’s facility, our group went out and excitedly walked towards the lookout point. The walk would take 15 minutes or less; and since we only had 45 minutes for this stop, I didn’t waste time and hurriedly walk to get to the overlooking decks. 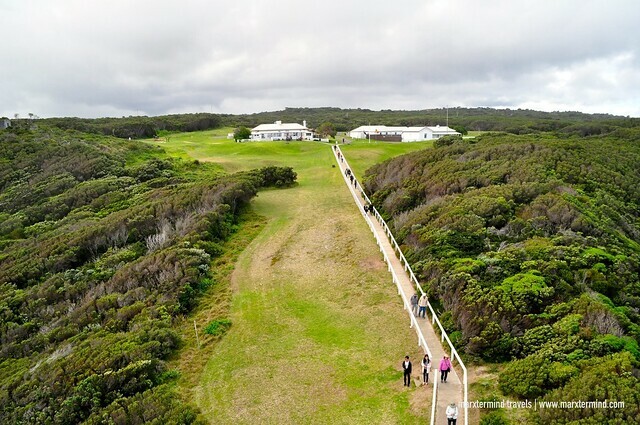 There is also an option for a helicopter flight for a fee if you would want to experience something unique to see the Twelve Apostles. 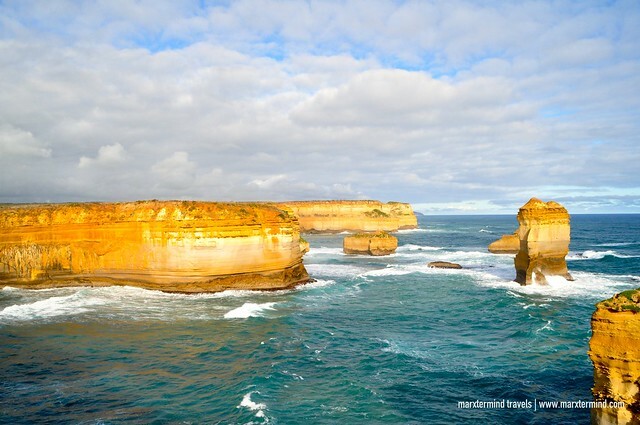 The helicopter ride will take you over the Twelve Apostles for 15 minutes. Twelve Apostles is a collection of magnificent rock stacks that rise up majestically off the shore of the Port Campbell National Park. The site was known as the Sow and Piglets until it was changed to The Apostles in 1922 for tourism purposes. 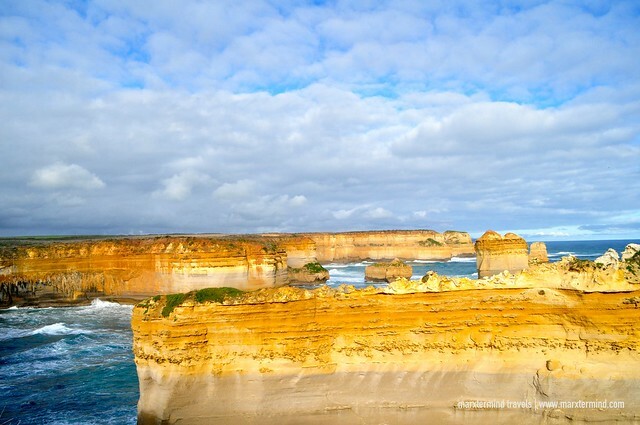 This renowned destination eventually became popular as the Twelve Apostles, despite only ever having nine stacks. 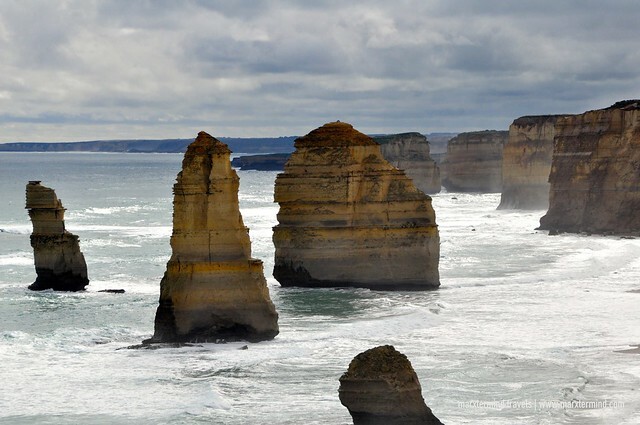 There are eight apostles left today, the ninth one of the stacks collapsed dramatically in July 2005. 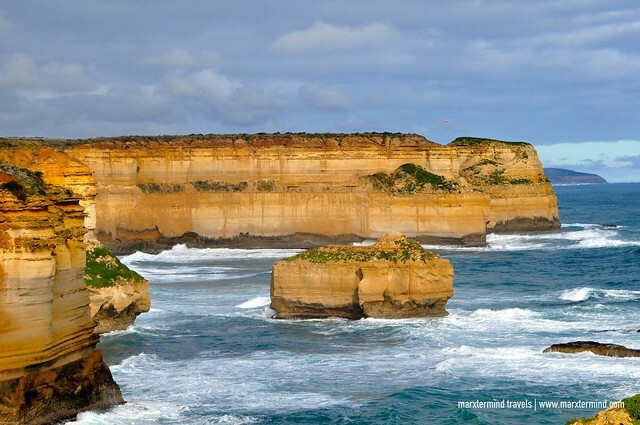 I was in awe when I finally saw the iconic cliffs and golden pillars of Twelve Apostles. I was awestruck by its beauty. It was indeed a world’s natural wonder. Seeing the Twelve Apostles right before my eye was an unforgettable moment for me. I was so happy. Watching those stacks was surreal and dreamlike. I just wished that I was with someone that time to share that great experience. The lookout point is actually a huge area. You can go to the other side to also look at the other limestone cliffs and rock formations. I went to that side and again was surprised because of the great spectacles that this place has. I wouldn’t miss it for the world so I took tons of photos to capture the beautiful scenery. 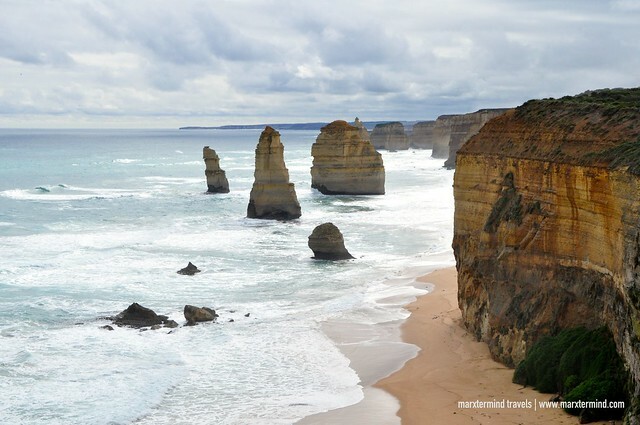 Seeing the Twelve Apostles is one of those admirable experiences that I had in Australia. It was one of the postcard moments that surely I will never forget. Just when I thought that our tour was already over, Jeremy told us that we would be visiting another tourist spot before we head back to the city. 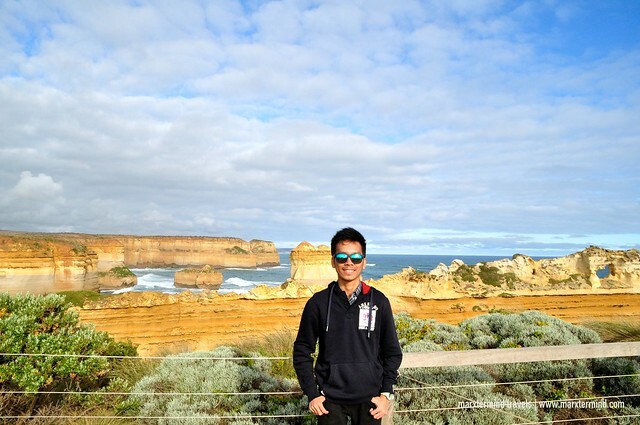 Surprisingly, we still have one last stop before our road trip gets over – the Loch Ard Gorge. 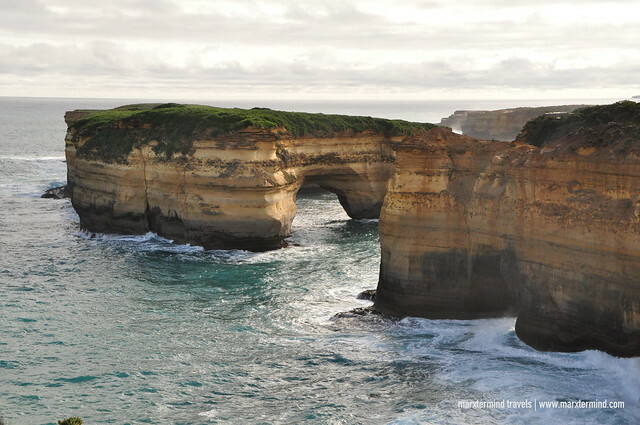 Loch Ard Gorge is also part of Port Campbell National Park. 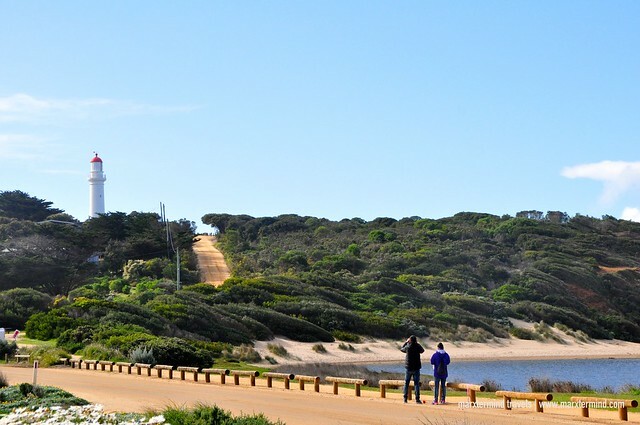 It is about 5 minutes’ drive west of the Twelve Apostles. This is a scene of many shipwrecks. This is a great spot to also see splendid rock formations, great canyons, magnificent cliffs and lovely coastline. 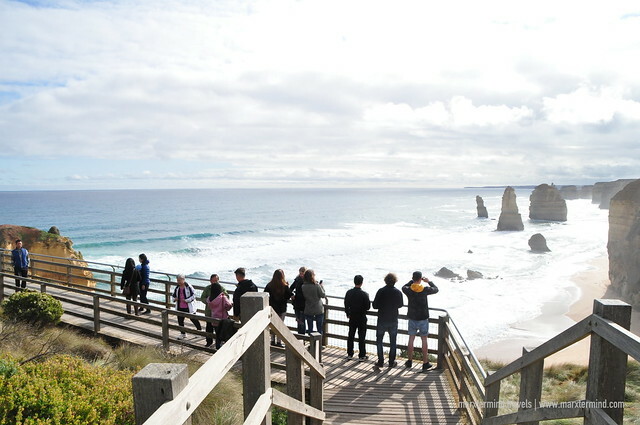 There are three easy walks at Loch Ard Gorge that allow visitors the chance to explore the great sights of this place. It would normally take two hours to complete all these walks but because I was eager to see almost all the sights from the three access points, I was able to do it for just an hour. We were only given an hour for this spot; hence I hurriedly walk through all these tracks. I went down the beach area first through stairways. Snap there and there, I then left the beach and went up again and proceeded to the eastern side of the gorge through the two pathways. A great scenery greeted me from the viewing deck. The panoramas were all stunning. I could live with this amazing view. 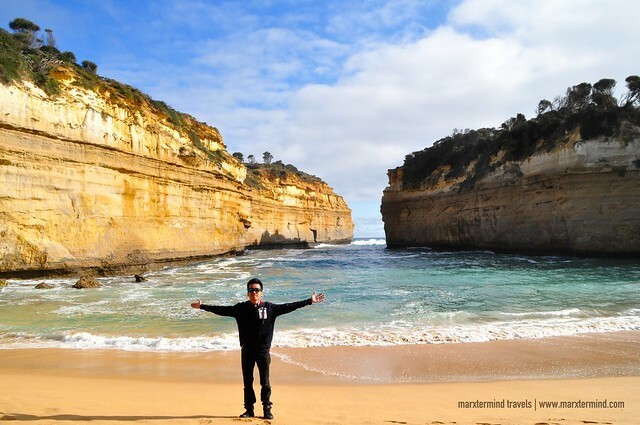 I truly had a wonderful time seeing the natural treasures of Loch Ard Gorge. 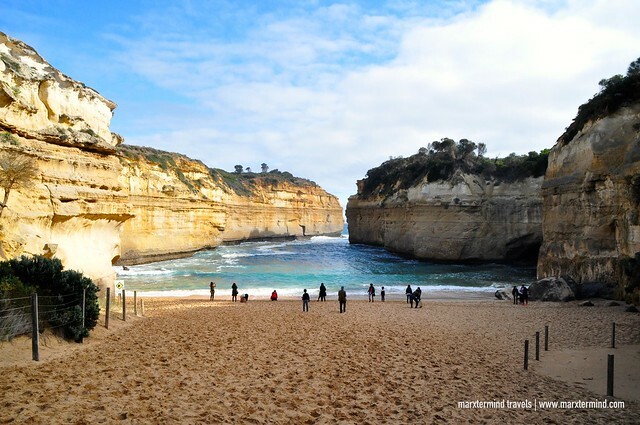 Certainly, the coastal attractions at Loch Ard Gorge were so charming that made our Great Ocean Road experience extra memorable. It was around 5:00 PM when we completed our tour. We went back to the visitor’s facility for restroom break – and drove back to the city right after. 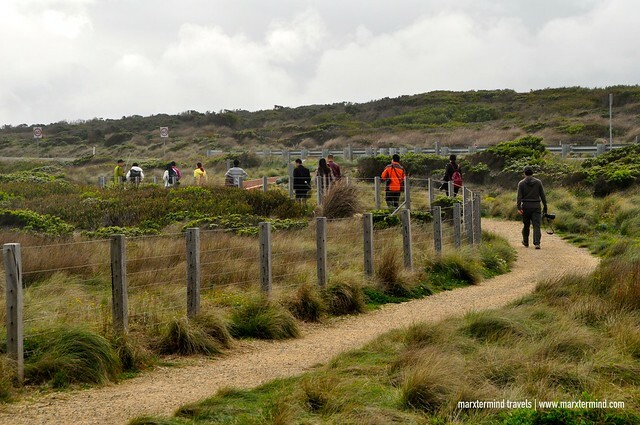 Bunyip Tours allowed us to have an unforgettable experience to discover the beautiful places and natural attractions down the Great Ocean Road. Traveling to this notable tourist destination was completely a remarkable getaway to experience. It offered me a great escape seeing the stunning coastal, golden beaches and iconic rock formations. 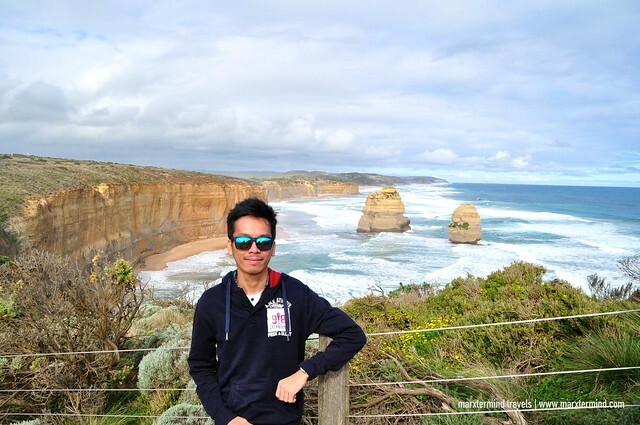 I truly had an enjoyable time and indeed, one of my travel experiences in Australia that I will remember forever. 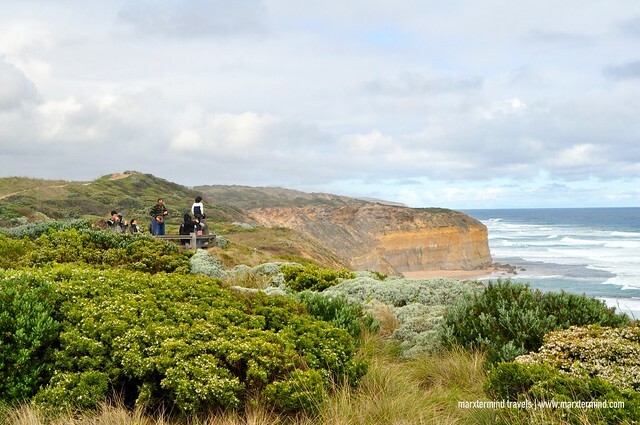 Bunyip Tours offers Great Ocean Road Tours daily for only $125 per adult. You may book this tour by visiting this link. hi! Did they pick you up from your hotel in Melbourne? Yes, it includes in the tour package – pick up and drop off at the hotel.